Do you have questions about Washougal High School? What is our Dance Policy? How can you as a parent help out the school? Do you have questions for our principal, counselors, SRO or athletic director? We are looking for parents who want to commit to attending. 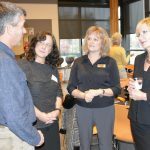 The Washougal High School Parent Advisory Council (PAC) is comprised of parents who want to know more about the inner workings of Washougal High School. The PAC meets nearly once a month to discuss issues of importance to the entire school community and is a representative body that provides the perspective of parents to the WHS administration through regular communication with the principal. The PAC also serves to provide parent feedback on school policies and procedures and has a role in the development and implementation of the WHS School Action Plan. Your involvement matters – to our school and, most importantly, to your student.